i would like to move over to linux full time but it's just not graphics friendly enough yet. so far the audio player that works the best for me is Exaile but i would like to find something closer to MediaMonkey or Foobar (both windows apps). on the graphics app front Inkscape is very good, i use it over adobe illustrator on windows, the gimp however is close to useless as a professional image editor. Clementine is also a very nice media player - Give it a try. Graphic designers may find Xsara Extreme useful. Ha, well, to each their own. I just couldn't imagine this extremely long thread didn't mention emacs once! 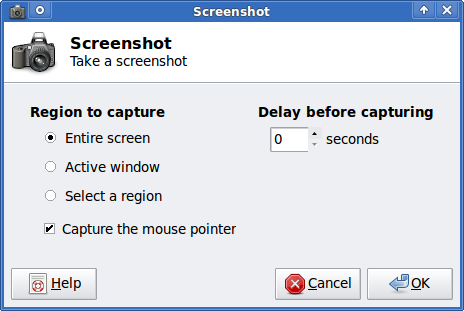 xfce4-screenshooter is small and does exactly what you want. Ta, will use this myself! Oh Gawd please stop... Guys, your doing it wrong. So your noob. Welcome to Linux. It's a beautiful distro. Since its Mint its Debian based. Debian being the true opensources free software pioneer. 1: Open up a CLI. 2 Familiarize yourself with APT the synaptic packagemanager. Once thats done its all smooth sailing provided your distro adds the menu entries into whatever GUI/X it uses. Be careful of just installing things. Linux can break and it does and its almost always user error. Errrmmmm, what are you on? Lay off it for a while and post again since what you said, made no sense. 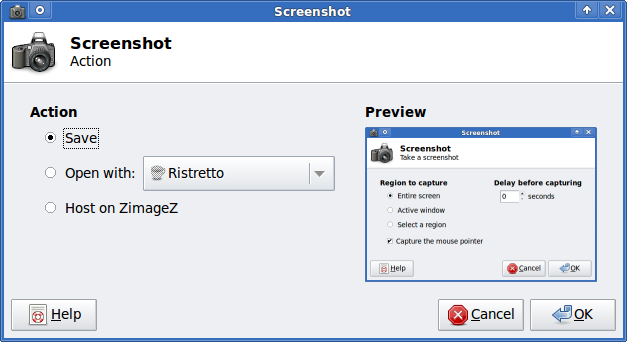 Whats wrong with Skype on a debian wheezy desktop? Nothing is wrong with skype on debian. its just a process to install. You need to add the x86 architecture. Download the deb file from skype.com. install it using dpkg and then run apt-get install -f.
Alternatively you can preinstall the requirements for what is needed for skype. Generally wise to watch the people who are actually the innovators of the industry. Kfreebsd = Debian userland with BSD kernel. Illumos = # Watch that space... these guys will change how cloud services work in the future. Also Illumos is a solaris system using Debians style deployment. I'm tempted to blame the Skype package here. I had a similar problem trying to install google-earth from Google on Ubuntu Saucy 64-bit. It turns out the google-earth "64-bit" package actually contains a 32-bit binary and a dependency on ia32-libs, which no longer exists in Saucy (and since Sunday, is no longer in Debian either). The google-earth 32-bit package is the one to install, but it is missing dependencies on at least libfontconfig1:i386 libxrender1:i386 libglu1-mesa:i386 libglib2.0-0:i386 libsm6:i386, so these need to be manually installed. Google's google-chrome 64-bit package does actually contain a 64-bit binary, however. Speaking of the Illumos kernel, I absolutely love it. My fileserver is now running OpenIndiana (fork from OpenSolaris) which uses the Illumos kernel, and the stability is rock solid, better than Linux was, and Linux was already great. ZFS on Illumos is just amazing, the few issues that ZFSonLinux has, is just not there, and no memory wastage. Also have a bunch of KVM VMs running on top of this OpenIndiana fileserver, which is where I run my Linux and Windows stuff for downloading which I was too lazy to figure out on OpenIndiana. Still, great OS and Kernel for a server, and I can see how they may take over Cloud hosting in the future. You just gained added respect mate. Standard Bank are apparently shipping account audit reports in the .xps file format, Fedora will open this format with the Evince PDF reader (Adobereader doesn't recognise it) but printing is a problem. In my case a third of the page was missing. It's that easy, xpstopdf seems to be available for most major distros. CD Ripper/Encoder -> .mp3, .ogg, .wav, .aac etc. Google chrome is also available for Linux but you must get it from the website. So I think you should remove chromium.